Although the Town of Clifton Park phased out its Special Collection Days in 2015, it has since replaced the bulk trash removal service with free residential yard waste pickup. Learn when this curbside waste pickup is offered, as well as important info regarding the local Transfer Station. Keep your yard looking tidy by taking advantage of the town's free yard waste pickup service starting on April 8th, 2019. The service will be offered through the end of November 2019, weather permitting. Residents that live south of Ballston Lake Road and Kinns Road will have their pickups on Monday or Tuesday. Residents north of Kinns Road and Ballston Lake Road will have their yard waste picked up on Friday. 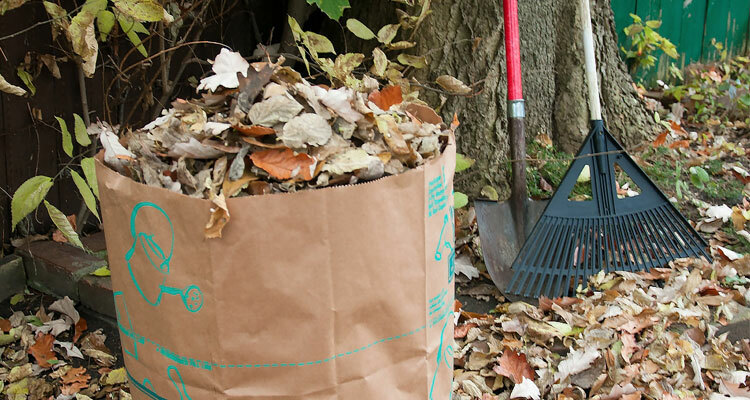 Leaves, grass clippings, tree, and shrub trimmings should be left in brown paper yard waste bags. No yard waste will be collected from garbage cans or other containers. Small tied or bundled brush that measures less than four feet long and six inches in diameter will also be collected. Bundles must be tied to allow for easy pickup. Items that won't be collected include animal waste, tree or shrub roots, tree stumps or logs, waste products, household garbage, pressure-treated wood, railroad ties, plastic, metal, building debris, or other foreign materials. Remember: Don't put your bags of yard waste at the curb until the night before pickup day in order to avoid inclement weather and bag spillage on the road. For larger bulk items, you may dispose of them at the Clifton Park Transfer Station year round. However, to do so, you must be a resident and possess a permit purchased from the Transfer Station. For more information about the Transfer Station, you may call 518-371-6669. Please Note: The Clifton Park Transfer Station accepts yard waste all year long from Clifton Park residents, and no permit is required (just an ID).